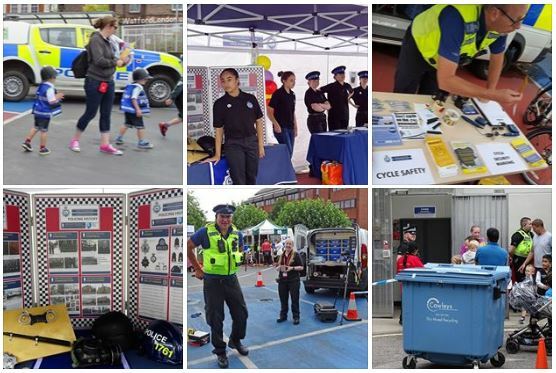 Over 400 people turned up to the Watford Police Station Open Day, with Custody Tours proving popular, along with the Crash Car !! The History of Policing was on display, as well as help with Vehicle security. Why is it so hard to turn the Police Siren on? 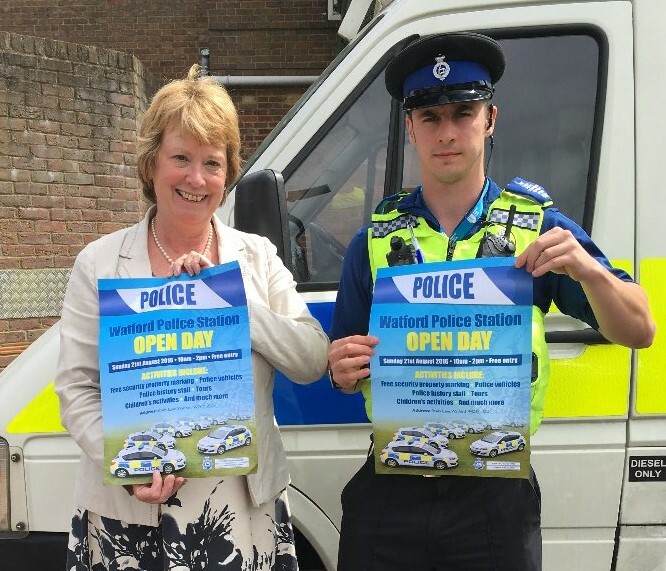 I found out at the open Day..
Mayor Dorothy Thornhill helps promote the event. 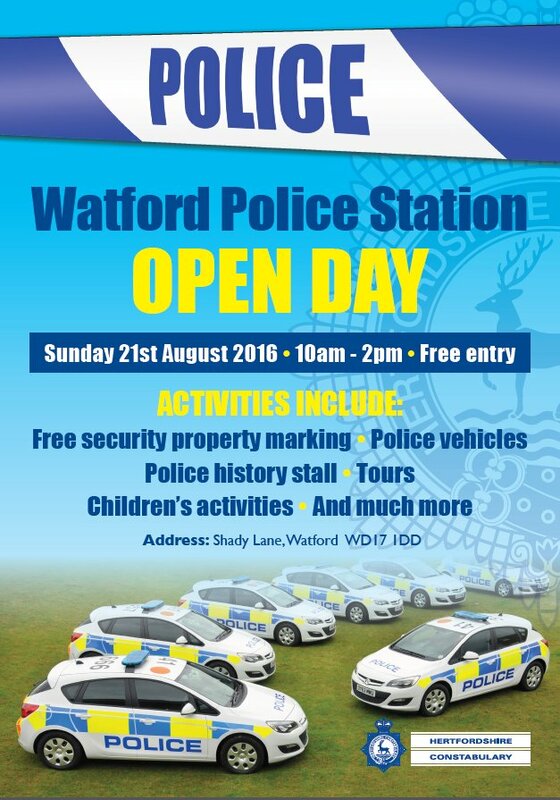 Location: Watford Police Station, Shady Lane, Watford, WD17 1DD. Welcome to Watford London UK!